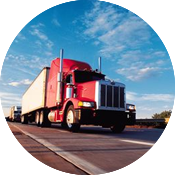 The key to managing time and cost in local United States domestic freight is efficiency. KRIEGER worldwide designed KATCO, our domestic transportation operation, to deliver efficiency; bringing you a variety of options to deliver solutions specific to your needs. KATCO works with most major contract carriers giving you access to superior pricing. With a network of partner offices nationwide KATCO is prepared to handle your logistics requirements.